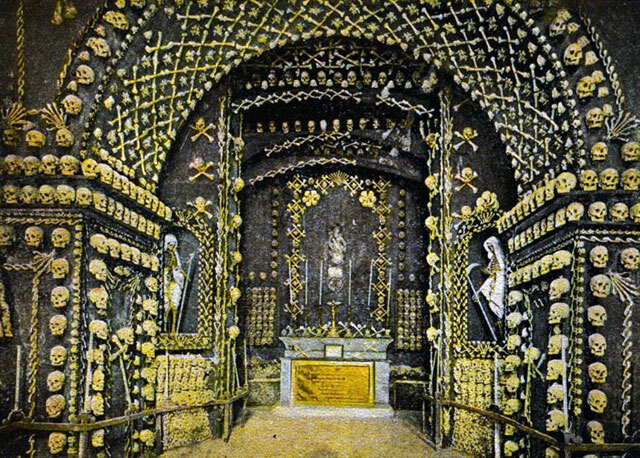 Somewhere beneath the ruins of the Nibbia Chapel in Malta is an ossuary decorated in human bones exhumed from a nearby cemetery. For nearly a hundred years a small church in Malta’s capital of Valletta served as a place of powerful religious devotion, as well as a macabre tourist destination. Known as the Chapel of Bones, the vaulted crypt beneath the church was elaborately decorated with human skulls and bones exhumed from a nearby cemetery in the mid-1800s. Bombs dropped on the city during the second World War, on February 14, 1941, left the chapel damaged. What remained was later demolished sometime in the 1970s. Only the sarcophagus of the chapel’s builder Fra Giorgia Nibbia, along with remnants of the foundation, were left standing. When Nibbia died in 1619, he was entombed in a stone sarcophagus within the chapel. 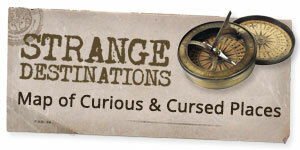 In 1776, the decision was made to relocate the cemetery. The remains were exhumed and reinterred underground in a large ossuary beneath the chapel. Then, in 1852, hospital chaplain Rev. Sacco decided to use the bones as decoration, adorning the walls and ceiling of the crypt with elaborate shapes and patterns made entirely of human skeletal remains. He created intricate patterns with crossed long bones, scapulae were used for floral shapes, skulls lined the walls, and smaller bones were used as trim. In the world, civilized and savage, there is not another such a gruesome and appalling spectacle. 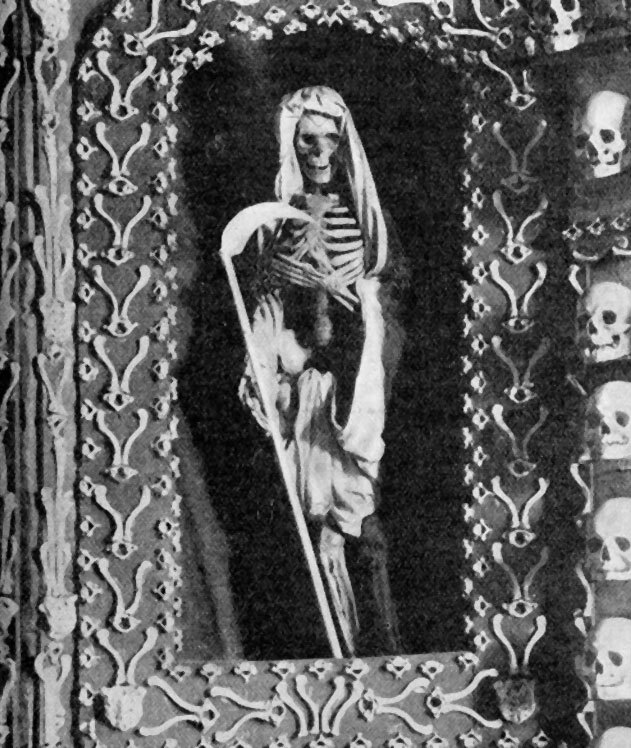 In the 1914 book Six and One Abroad, author Sidney J. Thomas wrote about the Church of St. John in Valetta, where a relic said to be the mummified right hand of John the Baptist was kept (after Napoleon stole the diamond ring from its finger), before moving on to describe the city’s other macabre destination. Though little remains of the Nibbia Chapel, the underground crypt is believed to still exist, and may one day be found.